In 2005 I had to make a choice: dropping off my six-year old daughter at school or being at my SLP job. 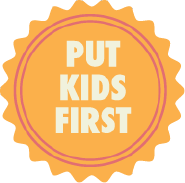 I believe kids come first. So I left my job and started this business. And walked my daughter to class everyday. My personal talent has always been being able to see a variety of needs and understand how to orchestrate solutions. I understand the stakeholders involved and operate from a firm set of values. I don’t do it alone. I credit my dad for teaching me to surround myself with people smarter and more talented than myself. And as business grows, I continue to do just that. Our Hello family has grown to now include thousands of individuals and families that share our beliefs and have benefitted from the stake we put in the ground. Our values drive our business. Because yes, we’re professionals (some of the best you will ever meet, in fact) but we’re also moms and dads, aunts and uncles, sons and daughters. We’re family. And dreaming a bigger dream for someone else matters. Our Hello staff in the schools, clinic, and online love that they are a part of a work family that recognizes their own goals, commitments, and children. They love that we treat their kids as our own and supporting our work means aligning with a company that puts kids first in countless ways. It’s why we do this. It is The Hello Story.